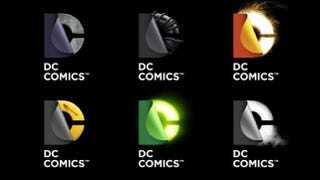 The design of the new DC Entertainment identity uses a "peel" effect – the D is strategically placed over the C with the upper right-hand portion of the D peeling back to unveil the hidden C – symbolizing the duality of the iconic characters that are present within DC Entertainment's portfolio. I do like the whimsy of this approach, but hey, my heart lies with the old-school "bullet" logo and the 1990s hard sell of Lobo threatening readers. Also, today might not have been the greatest day to launch the logo, what with FOX News suddenly losing their minds about the more lurid aspects of the DC Relaunch four months after the fact.